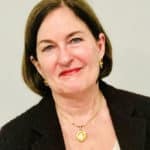 From New York to Philadelphia (not to mention Vienna and London), performing arts is an area that is left untouched by traditional pundits of education. It lies beyond the realms of the material and transcends into something spiritual. Students all over the world travel to seek the perfect shrine to polish their knowledge and learn performing arts. 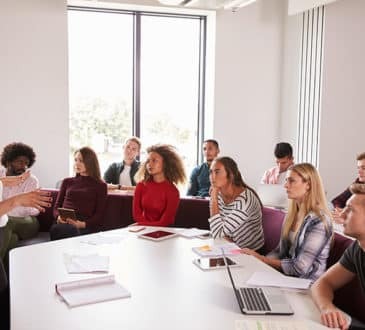 There are many great educational institutions across the globe, which provide state-of art learning facilities and myriad opportunities to those interested in this area. I, however, have shortlisted the best five which have developed into world-class institutions. So, let us find out what those institutions are and what make them what they are. 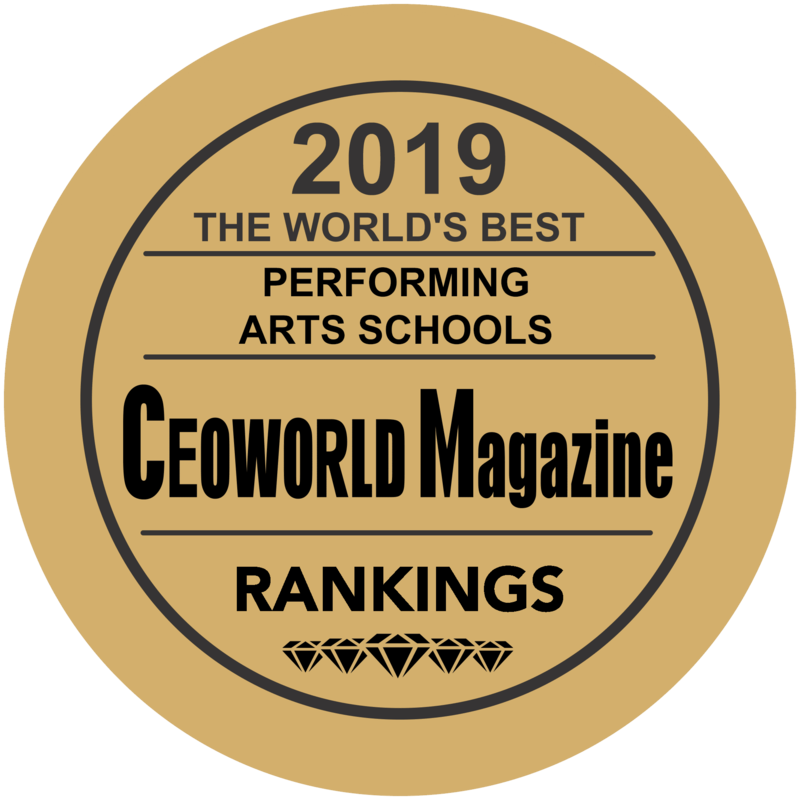 Juilliard School has been named the best performing arts school in the world for 2019, that’s according to the CEOWORLD magazine. The ranking compares the top performing arts programs in the world. University of Music and Performing Arts, Vienna, Austria ranked number 2 on the list, followed by Royal College of Music – London (No. 3), Royal Academy of Music – London (No. 4), and Curtis Institute of Music – Pennsylvania (No. 5). 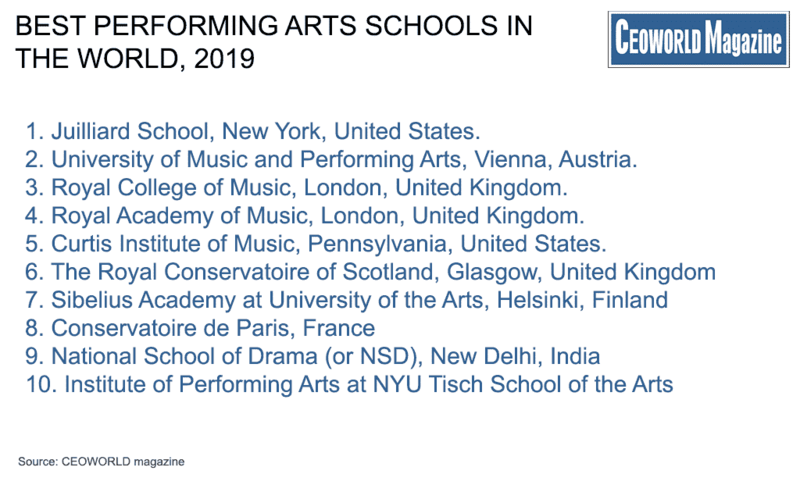 The CEOWORLD magazine placed Royal Conservatoire of Scotland – Glasgow in sixth on the list ahead of Sibelius Academy at University of the Arts – Helsinki (7th), and Conservatoire de Paris – France (8th). National School of Drama (or NSD) – New Delhi and Institute of Performing Arts at NYU Tisch School of the Arts round out the list at nine and ten, respectively. Juilliard School, New York, United States. This school was established way back in 1905 and has been one of the most premier institutes for performing arts. It has been at the pinnacle for a number of years, and the students who go to this school are taught by some of the most respected artists in the world. 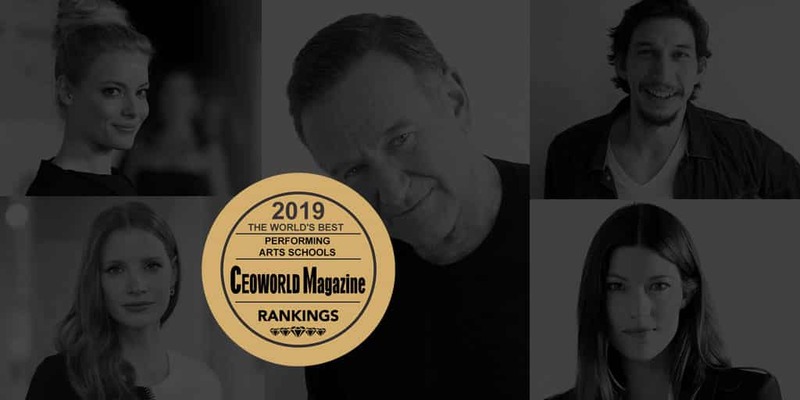 Juilliard School also ranked number 1 on the list of the best music schools in the world for 2019 by the CEOWORLD magazine. You can expect to find prodigies in its chambers. It attracts pupils from far and wide and has never been short on the number of applications received per year. 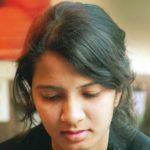 Apart from everything, to get in, you have to give a performance of your talent and you are judged on strict parameters. Many gifted students fail to make its cut; but those who get in, they are in a league of their own—a cut above the rest. Year after year, it has maintained its reputation—behind the glass front lie years and years of discipline. Famous Juilliard School Alumni: Robin Williams, Kevin Spacey, Jennifer Carpenter, Nelsan Ellis, Rutina Wesley, Adam Driver, Lee Pace, Finn Wittrock, Glenn Howerton, Morena Baccarin, Michael Urie, Nicole Beharie, Danielle Brooks, Sara Ramirez, Viola Davis, Elizabeth Reaser, Anthony Mackie, Oscar Isaac, Gillian Jacobs, Jessica Chastain, Samira Wiley, and Val Kilmer. The University of Music and Performing Arts, Vienna, Austria. This college is in Vienna. No mention of performing arts can ever be complete without the inclusion of Austria. It is the place that gave the ‘art’ to the world—and the school is following that rich legacy. It is not just the talent found within the school, but the surroundings that it has built around itself that inspires one to engage in performing arts. And this magical effect can be observed amongst its pupils. They make a niche of their own. Presently, the college has over 3000 students enrolled from over 70 countries. 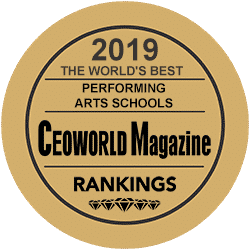 Vienna-based the University of Music and Performing Arts also ranked number 5 on the list of the best music schools in the world for 2019 by the CEOWORLD magazine. Royal College of Music, London, United Kingdom. It was established by a royal charter back in 1882. 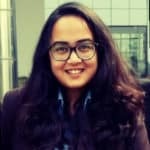 Such is the reputation of the institute that any student who applies for admission in any of the fields of performing art in this college is automatically considered for a merit-based scholarship. Royal College of Music in London also ranked number 6 on the list of the best music schools in the world for 2019 by the CEOWORLD magazine. But don’t let that fool you. 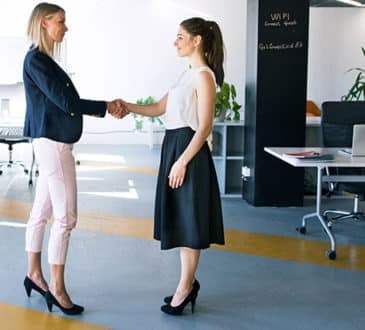 You don’t need just talent to get in here; you need to have a well-built portfolio, and the ability to impress the interview panel. If you have managed to get past those two, then comes the showcase of your talent. You are expected to give your best; your teachers will do the job of fine-tuning you. It has earned an almost perfect record for its academic curriculum. The world over, the reputation of Royal College is that of one of the strongest conservatories. Royal Academy of Music, London, United Kingdom. The Royal Academy of Music has become one of the most prestigious schools in performing arts and is presently the oldest conservatory in the UK established way back in 1822. It has gifted the world not only critically acclaimed musicians but also mainstream stars who are revered by the critics and the people. It is in the observation of such a rich legacy that the college has decided to put forth a scholarship. But unlike most other colleges, it bases its scholarship only on the merit of a financial need. London’s Royal Academy of Music also ranked number 10 on the list of the best music schools in the world for 2019 by the CEOWORLD magazine. Curtis Institute of Music, Pennsylvania , United States. This institute might be one of the most competitive ones around. It offers admission to only around 4% of the total applicants each year, and presently, the number of students in the institute is pegged at 175. But once you manage to get in, all doors are opened for you. The Curtis Institute in Philadelphia also ranked number 13 on the list of the best music schools in the world for 2019 by the CEOWORLD magazine. The Institute has in place an adequate framework which caters to basic needs of its students. Your academic fee, tuition fee, and everything else is taken care of under the scholarship provided by the institute. So, all you are expected to do in order to get admission here is to have confidence and talent.—but remember, competition is cut-throat and you must do your best!